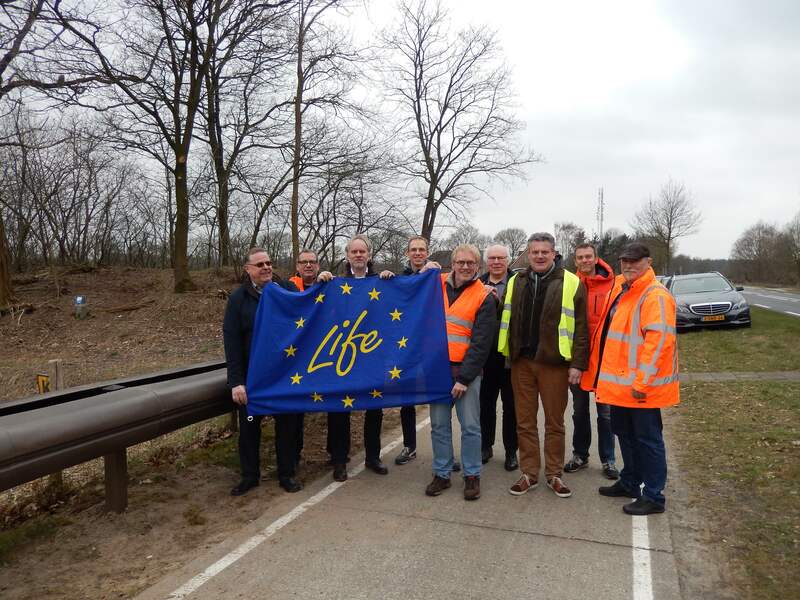 On March the 23rd 2018, the BG4US LIFE15 was opened officially and celebrated with our project partners, and main stakeholders Rijkswaterstaat and the Province Noord-Brabant. 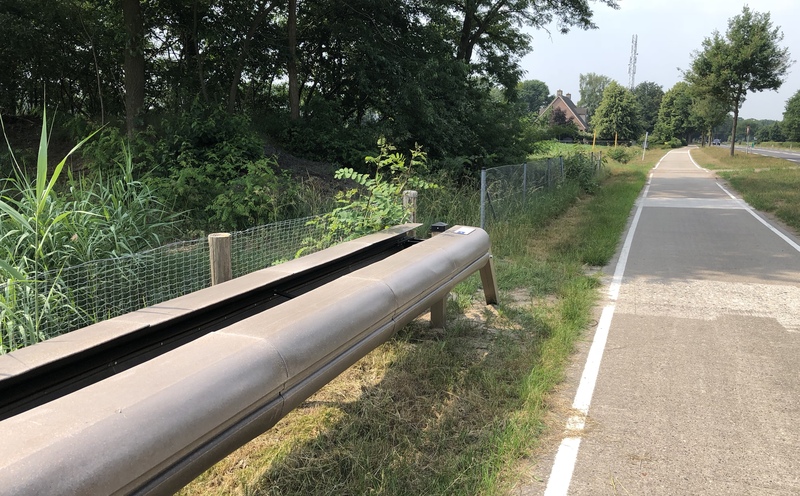 The last weeks, the complete BG4US team have worked hard to assemble all parts and realised the Mock-up BG4US LIFE15 2.0 biobased guardrail. 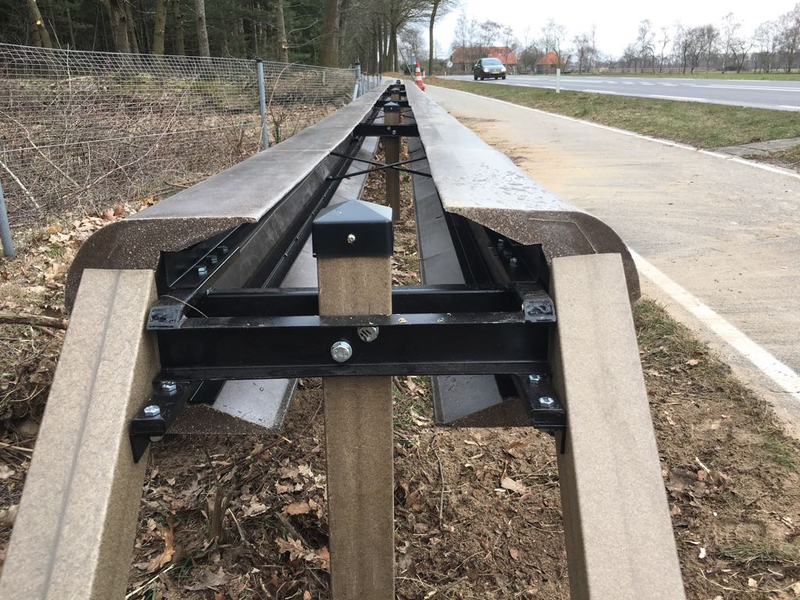 Via rotational extrusion, extrusion based profiles have been made in the shape of the designed guardrail 2.0. Subsequently, the parts obtained of this process have been assembled on a steel strip getting profiles with a length of 4 meter. 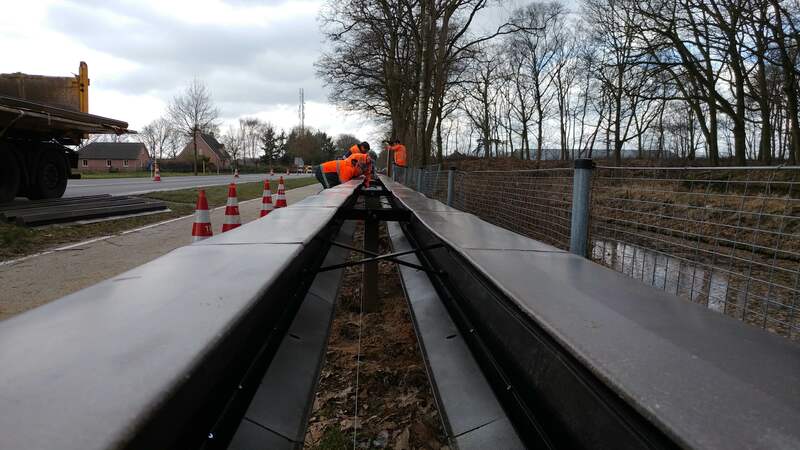 In the parallel steel constructions were welded, so that the 4m profiles could be attached to poles which are placed in the soil. All this work has resulted that a BG4US Mock-Up 2.0 has been installed at the N272 – hectometre number 15.6 – 15.4 of ca. 40 metres in total. Opening of this Millstone gave insight in possibilities how to assemble the different parts of the guardrail. The BG4US LIFE15 2.0 Mock-Up will be monitored now over time to see how materials will behave in time. By doing so, it will be learned if changes need to be made before the next testing phase – production of extruded based beams with a mould designed, followed by a crash tests to get the BG4US LIFE15 certified.